We offer a wide range of innovative solutions for cutting, including the latest generation of cutters with programmable 3D head for plasma trimming. 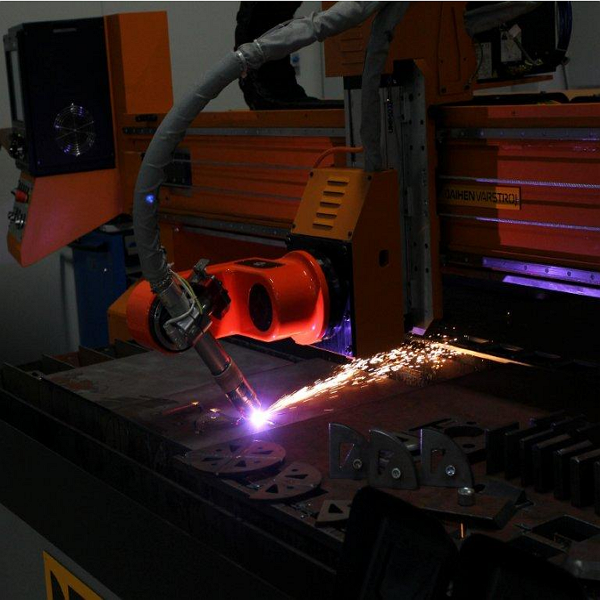 Plasma cutting is cutting with electric arc as the source of thermal energy. It is in industrial use since 1960 and is used for cutting of all kinds of electro-conductive metals. In this way materials up to 80 mm thickness are cut, depending on plasma device strength, but can be used also for cutting thin materials (usually more than 1 mm). Speed of cutting is very high, therefore the process is very productive.